Not to be excluded from the Record Store Day fun, iconic Brit-poppers Blur have emerged from the studio with a seven-inch single that will be released as part of Parlophone's run of limited-edition Record Store Day exclusives. The single, like Parlophone's Beatles seven-inch, will hold Blur's first new material in eight years and will be limited to a run of just 1,000 copies. However, the band have yet to reveal what the song title is, or whether the B-side will be a new track or otherwise. Front-man Damon Albarn told the UK's Sun newspaper that "We want independent record stores to continue - they're an important part of our musical culture. 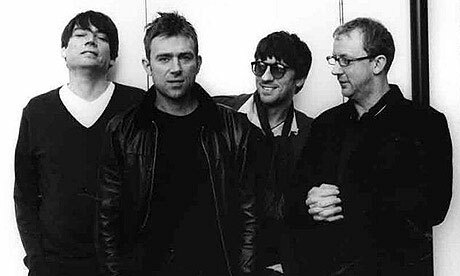 Music is a simple way for Blur to show our support and we hope people like it." We have a funny feeling this might be all it takes to reunite Oasis, if only to make up for the "Country House" debacle of 1995: "Wot?! Blur 'ave a Record Store Day single? Blur are shite! 'Right Liam, Oasis is back together - we 'afta record a single!" Or something like that.